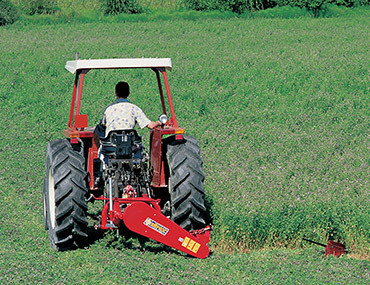 The SITREX Sickle bar Mower Series SB is a simple and reliable machine. Three working widths are available: 165 cm (5* 6") 180 cm (61) and 210 cm (7') to satisfy the requirements of small and medium size (arms. The mower is normally supplied with manual lift of the mowing unit. Upon request an hydraulic lift kit can be supplied. Cutting Width 165 cm 5'6"